The number of people driving for Uber, Lyft, and other transportation network companies (TNCs) continues to grow, and many drivers don’t realize that the insurance coverage provided by the TNCs only covers part of the potential risk. In many cases a rideshare insurance policy is needed to fully cover both the driver and his/her vehicle. When a driver has accepted a fare and is on his/her way to pick up a passenger or already has a passenger in the vehicle – Periods 1 and 2 – the TNCs insurance covers liability, uninsured/underinsured motorist, and contingent comprehensive and collision coverage (if you maintain comprehensive and/or collision coverage on your own personal auto policy). It’s Period 1, when a driver is logged in and waiting/searching for a fare, that leaves a driver exposed. Most TNCs only maintain a limited amount of liability coverage during Period 1. Should a driver get in an accident, the driver would be responsible for any damage or medical expenses beyond the limited coverage provided by the TNC. In addition, there would be absolutely no coverage for the driver if his/her vehicle is damaged or stolen during the Period 1 timeframe. This is where a rideshare insurance policy can fill in the coverage gap. Most personal auto insurance policies don’t cover rideshare drivers because at that point the car is being used by a livery driver as opposed to being driven for personal use. The increase in time and mileage drastically increase the likelihood of an accident, so in addition to likely denying a claim from a driver who was on the clock, they could terminate the driver’s personal policy. Getting re-insured after being dropped by one company can be even more costly. Note: Be sure to notify your auto insurance company as soon as you sign up to drive for a rideshare company. Not doing so can be grounds for your personal auto policy to be cancelled. Thankfully as TNC drivers have become more common, insurance policies have adapted to meet the need. Special rideshare insurance policies can now be added to your personal policy to ensure you’re covered during the risky Period 1. 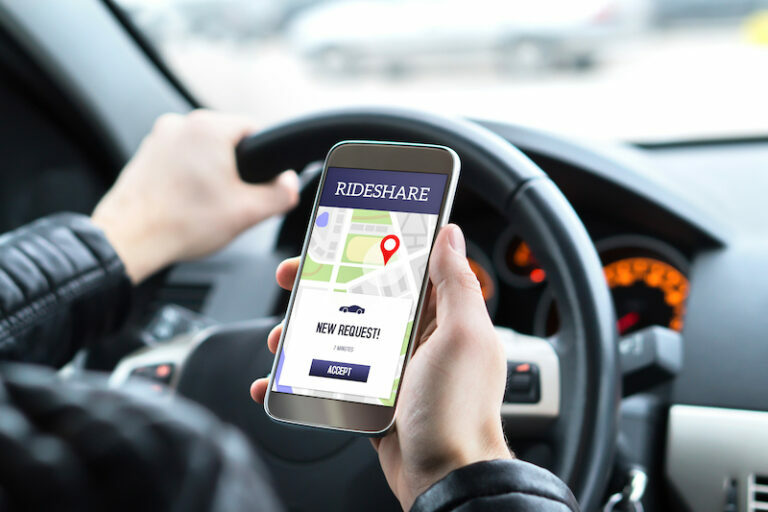 And unlike commercial auto insurance, which can be cost prohibitive, rideshare insurance policies tend to be relatively inexpensive while still offering great coverage. If you are currently driving for Uber, Lyft, or any other TNC or are thinking of becoming a driver, be sure to talk to a AAA Insurance Agent to learn about your options. The agent will be able to explain the types of coverage that are available to give drivers the same peace of mind while on the clock as they have off the clock.